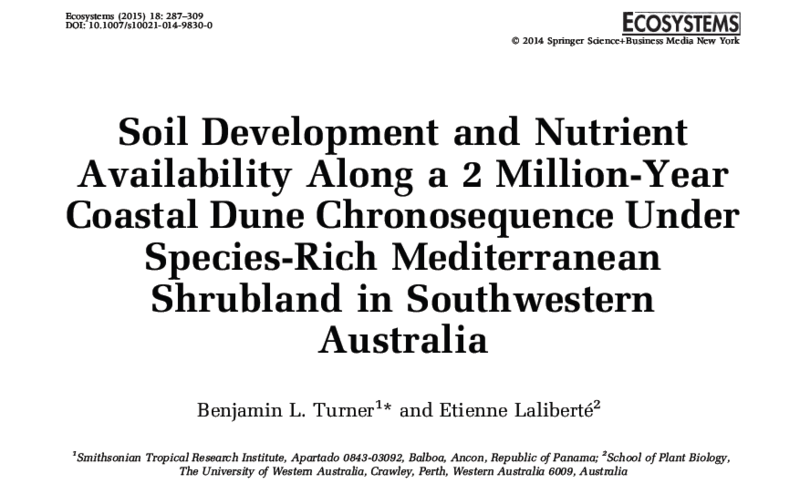 In this interesting paper published in Ecosystems, Benjamin Turner and Etienne Laliberté studied the pedogenesis processes occurring in a 2 Million year chronosequence of coastal dunes under Mediterranean climate in Southwestern Australia. This is an outstanding opportunity for a case study of phosphorus decline during the soil development. This entry was posted in Research and tagged Bioavailability, Organic phosphorus. Bookmark the permalink.